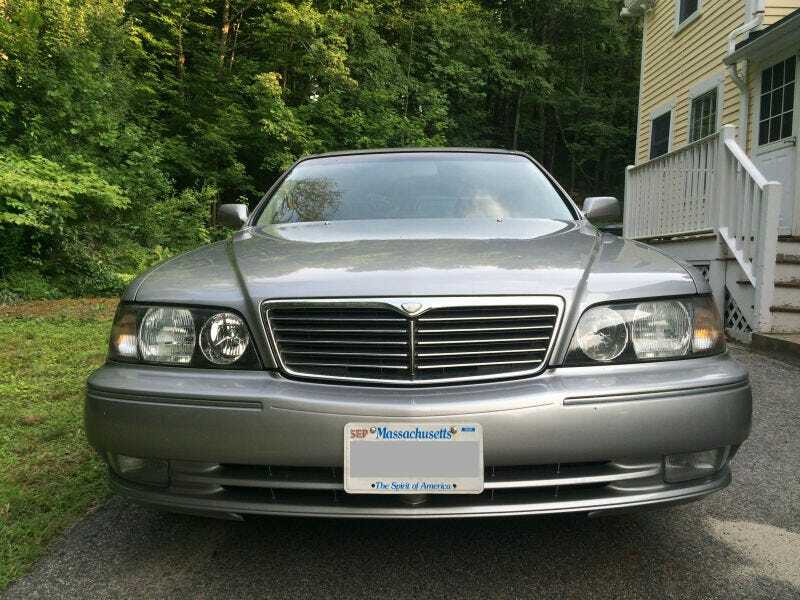 Exit Interview: 1999 Q45t. The car left this morining and I wanted to jot down my final thoughts. In September it became obvious that the Q wouldn’t be passing inspection again without an inordinate amount of exhaust work. Furthermore, the rear struts were blown, the A/C was broken, it leaked an insane amount of oil, and had some nasty rust issues. So I bought something new and the Q left on a flatbed this morning. My goal as a car enthusiast is to experience the widest variety of vehicles I possibly can. This old boat definitely helped me accomplish that. My first car, a 1989 635csi, was dramatically different in every single way. Daily driving a classic is fun, but it is also a little sketchy (especially during New England winters). I decided that I wanted something much newer for the safety features. The E24 didn’t even have a passenger airbag and of course, was designed with seventies so it wasn’t very safe in a crash. Old cars are fun and relatively safe on a nice clear day, but in the middle of a nighttime snowstorm? Not so much. Over 2 years of ownership I probably spent around $1000 on repairs. Nothing needed to be replaced beyond wear items like tie rods and brake rotors. Those items were usually Nissan Pathfinder parts so they even stocked them at my local NAPA. Thus, it can be said that this car was actually pretty great to maintain all things considered. The V8 soundtrack and ultra comfy ride were nice too. I learned that I’m all about quick sedans, and hope to daily drive another V8 boat at some point. It was perfect for driving my friends all around New England for day trips and other shenanigans: the back seat was so nice that nobody ever called shotgun. The driving experience was fun too. At 4100LBS the car was no Miata, but still exciting enough to stick in 2nd gear, press the “sport” button to firm up the suspension, and go for it on some twisty roads. I’ll miss this car a lot. So, if you’re thinking about buying an old Japanese boat for a daily driver, I highly recommend it. They offer 90% of the German experience without all of the headaches.